HP posted a job listing on LinkedIn earlier this month for an Enyo team engineering intern, asking for a university student who has finished their third year and is close to graduation. In the job listing they mention their plans to release Ares 2 during the Spring, which we know is scheduled to be released by the end of this month along with Enyo 2.1. If you enjoy developing with Enyo and want to jump a bit more into the code and perhaps get some experience working with a fast-paced development team while also padding your resume with some pretty major open source contributions, this could very well be a job for you during your semester off of school. This would likely involve working out of HP's San Francisco office where the Enyo team is based, although the listing does specify Sunnyvale as the job location. Could a member of the webOS Nation community snag this internship? Why not - there are a lot of talented developers in webOS land, some young enough that they've got that summer break available. If you're thinking of applying, be sure to let us know in the comments below. We're happy to see HP hiring more people for the Enyo team, even if it is just a short-term intern role. 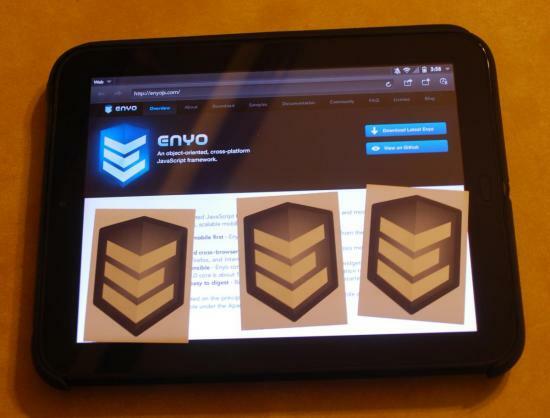 Whoever is brought on, we're looking forward to their contributions to Enyo - HP needs everything they can add to compete with the other frameworks in the mobile arena. Update: Look, we've spotted more intern positions! How feels like being a UX Design Intern or Product Management Intern?